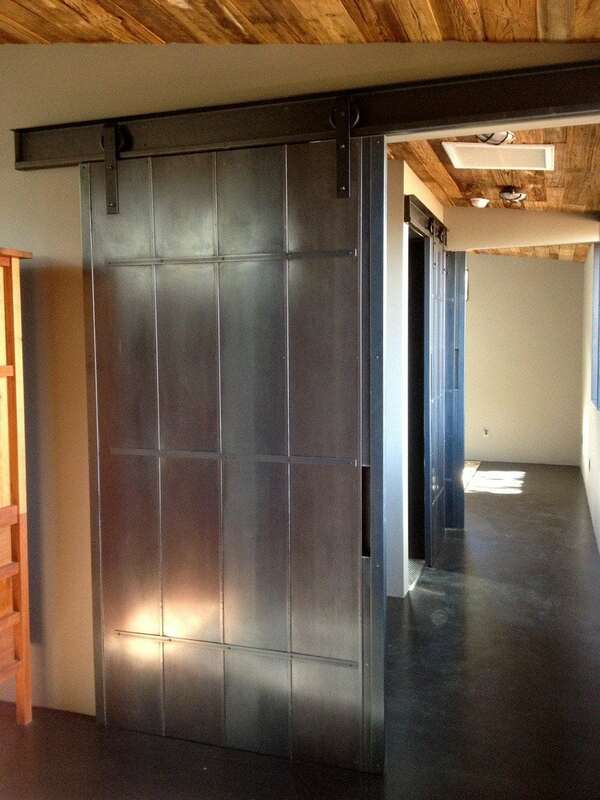 We didn’t make this door, but we did mill the mushroom wood siding on the ceiling. Hayes McNeil at Plus Minus Studios designed and built this home for a client in Prescott Valley, AZ. I couldn’t resist posting this photo because I think they did a smashing job with the siding and all of the steel features in the home.